Today, West Virginia’s favorite instrumental stoner rock perpetrators, KARMA TO BURN, kick off a monolithic live adventure! Slated to launch this evening in Akron, Ohio at Ripper’s Rock House, the band will bring their blues-laden, glassy-eyed grooves and bong-ripping, riff-roaring decadence to nearly three dozen metropolises across the US and Canada, with the lengthy expedition coming to a resonating close in their home state at 123 Pleasant Street in Morgantown on February 13th. The band will be joined by special guests, Canadian riff rockers, Sierra. 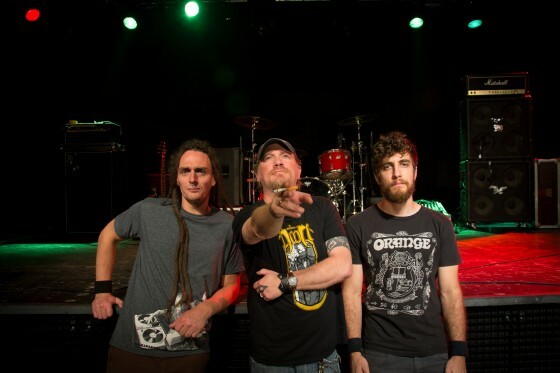 KARMA TO BURN – guitarist Will Mecum, bassist Eric Clutter and drummer Evan Devine — will be touring in support of their Arch Stanton long player. Unleashed in Europe this Summer via Switzerland-based Faba Records, and finally available domestically TODAY (also via Faba Records), Arch Stanton is the band’s sixth studio album and third since reforming following their seven-year hiatus in 2009. 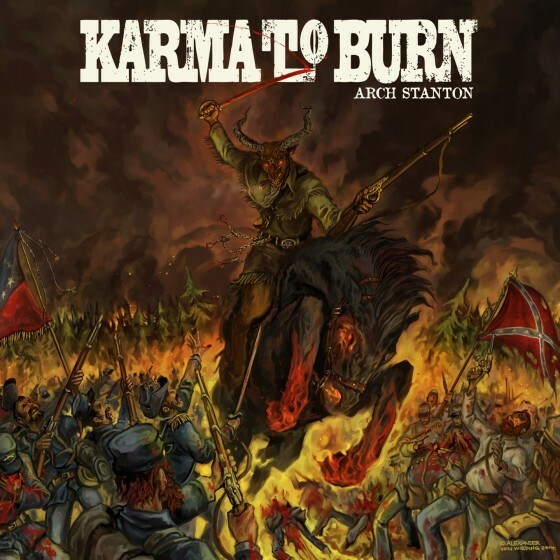 Reminiscent of their now iconic Wild Wonderful Purgatory and Almost Heathen offerings, on Arch Stanton, KARMA TO BURN channels the true spirit of the riff rock ritual with seven monumental new shredders and “23,” a classic never-before-heard number recorded for the first time ever. In celebration of both the tour and record release, today Decibel Magazine brings fans and soon-to-be K2B converts a raging new live video clip for the track “57.” Watch the band decimate the stage at THIS LOCATION.